Remaining Signs of Interflug - Seite 2 - DDR-Luftfahrtforum ! Feel free to reply to existing (German) threads in English language. interDDR-Australia hat geschrieben: ... I often wonder which aircraft types IF would be flying if they were around today? - any suggestions, perhaps new destinations too? I have just received a newspaper clipping of the restored IL-18 DM-STA in Deutsche Lufthansa colours being put into position in Leipzig! This will be a stop on my next DDR-aviation tour! We have visited Lady Agnes at Stolln a few times but if anyone has information on other IF static displays it would be greatly appreciated! Maybe we could gate-crash an Interflug reunion party while we are there - LOL! or perhaps start our own for "want-to-be-Interflug-crew-from-Australia!" Hello from the upside-down part of the globe! If Interflug was still around today maybe it would have been part of the Red Star Alliance! - LOL! - no? I'll keep thinking! Oh well! 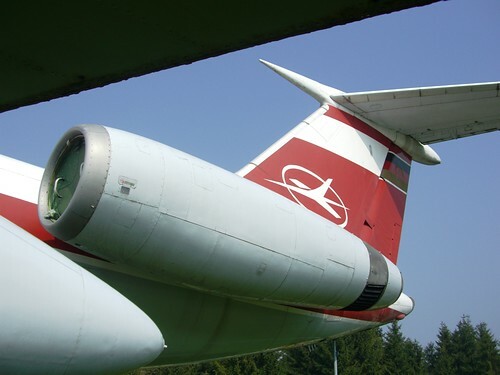 INTERFLUG's Il-62 DDR-SEF, which used to collect dirt and moisture at Leipzig airport, has recently been sold to a local restaurant proprietor. Subsequently it has been dismantled and trucked to a downtown location, where it has been reassembled awaiting conversion to a combined restaurant/event venue. In the meantime, the airframe has fallen victim to some misunderstood graffiti "artists" that used night cover as an inspiring force. The result looks accordingly i.e. grossly uninspired - as usual. Chances are that this new layer of colour-dirt will not last long, because the surface had not been properly prepared. We do hope that the new owner of Echo Foxtrot will succeed making this old lady look glamorous again. We are losely following his progress here. if anyone has information on other IF static displays it would be greatly appreciated! 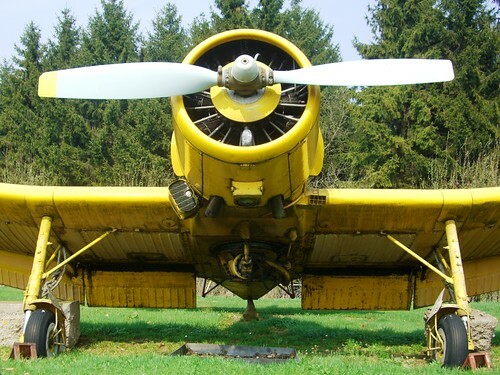 There is an aviation museum called "Flugausstellung L.+P. Junior" near Hermeskeil in the state of Rhineland-Palatinate. 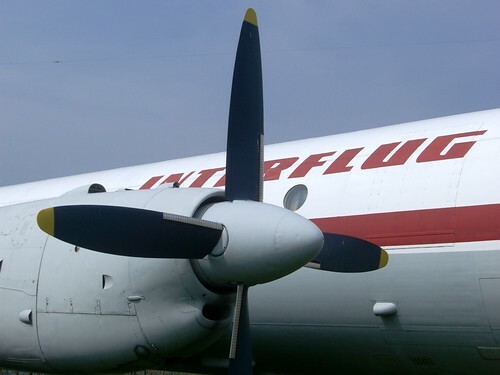 It has become the final home of Interflug's Ilyushin Il-18D DDR-STH, Tupolev Tu-134A DDR-SCK and the crop duster Let Z-37 Čmelák DDR-SSJ. ...plus countless other planes and helicopters both from the East and the West. Here comes another teaser from the museum. 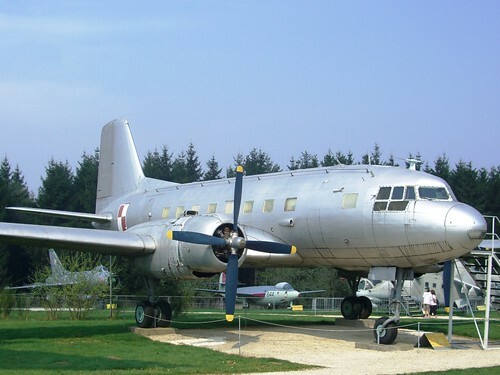 This is an Ilyushin Il-14P built by VEB Flugzeugwerke Dresden.